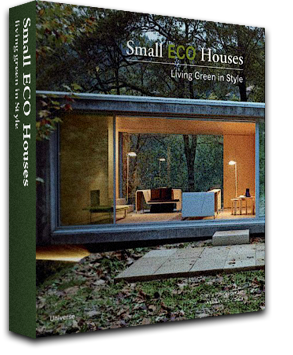 We're giving away a copy of Cristina Benitez and Alex Vidiella's book: 'Small ECO Houses - Living Green in Style' to one lucky reader, at random. The book profiles numerous contemporary projects from around the world that focus on environmentally friendly and efficient homes. I'm very excited to announce that starting today, Architecture STYLE is being updated and managed on daily basis by 2 more brilliant minds: Daniel Toumine & Rodrigo Chermont Fernandes. Both of these people bring extremely valuable knowledge and abilities to this team and will certainly have a great impact on this website. A warm welcome to you guys, and I'm looking forward to all the cool stuff we will get to do with this project! ArchitectureStyle 2.0 is now live! We are very excited to introduce the new ArchitectureStyle! It has been nearly 3 years since the first version of the website went live (August 19, 2008). The new design is much more flexible and has many customization options to better suit your needs. Enjoy!